How Can we utilize Diane at our next event? Keynote, Break-out sessions, Trainings, Workshop Facilitator, Individual or Group Coaching, Roundtable Discussions. You’ve booked Diane. Now what? Sign and return with a speaker fee to hold the date. Go to www.dianeingram.com/speaking/engagement-information , fill out and submit the form so Diane can tailor her message to your group. If you prefer a hard copy, this form is availalble to download at the top of this page. Preorder books if you are providing them for your audience. A few weeks prior to the event, a conference call will finalize all the details. Sit back and relax, knowing you are in good hands with easy to work with Diane! Diane will only need a wireless lavaliere microphone. Please provide a person to monitor the sound. Diane requests permission to videotape her presentation and a person to man the camera. Arrange chairs to face the longest wall if possible (arrange the room wide, not narrow). Do not use a center aisle. 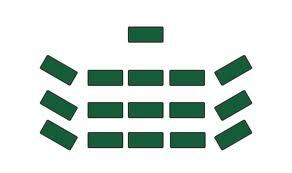 Instead two smaller aisles on either side of the center and chevron the seats (see diagram). Stagger the chairs. Don’t put one chair directly behind the other. If you stagger each row, audience members won’t have someone’s head right in front of them to block their view. Seat the audience close to Diane (six feet if possible) with each chair facing center stage. Match the number of chairs to the number of people and keep extra chairs stacked up at the back of the room to avoid empty seats. Stage: A raised platform is preferred if you have more than 50 people. This will give audience members a clear, unobstructed view of Diane during her presentation. No Podium: If a podium or head table is part of your meeting, please make sure there is ample room for Diane to stand near the audience. She will not be speaking from a podium. Table: Provide a table and volunteer a the back of the room for book signing and speaker product sales. Lighting: Make sure the entire room is well lit, especially the stage area. If spotlights are available, please consider using them. When the presenter is illuminated more than the audience, listeners can hear better and are less distracted. Agenda/Break: If you have agenda items lasting more than 30 minutes prior to Diane’s presentation, consider giving the audience a brief stretch break before introducing Diane. How does Diane get her message across to the audience? Diane makes her presentation inspiring, interactive and fun, while giving her audience new ideas to consider and actions to take. Participants receive a handout providing key points and contact information for any follow-up questions they may have. Audience members can relate to her stories, struggles and experiences. She is warm, welcoming, approachable and creates a safe space for the audience to relax and open up. 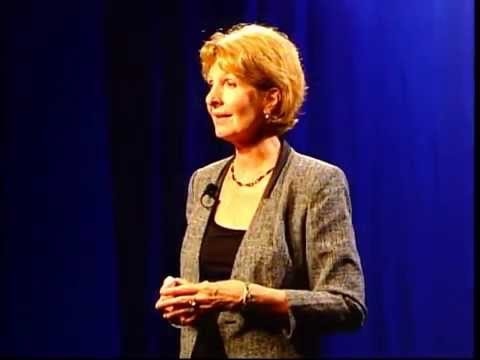 Drawing from her background as a dancer, singer and TV show personality, Diane provides an interactive presentation that leaves her audience inspired and motivated to make changes in their lives. You can also visit this page to fill out online.